This photo was taken in March 2012 at about 7 am. The location was in Georgetown which is a district in Washington DC. The "Take It!" came from this unexpected find at the base of a tree in one of the many sidewalk planters that have a tree as a sort of center piece to the location. The way the plantings and borders are put into place are up to the business or residences that are behind them. 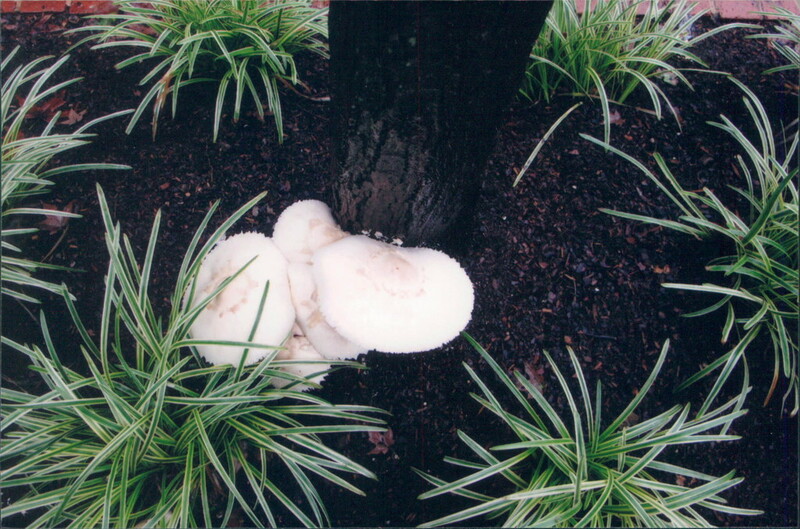 This cluster of mushrooms offered such a contrast with their whiteness matched up with the wet dark mulch that surrounds them at the base of the tree. The green of the other plants just seems to add emphasis and are a wonderful compliment. The After Take: As mentioned above, this was an unexpected find. Many mushrooms are fast growing so I have no idea of how long these had been growing. Chances are for less than two weeks for that seems to be the usual cycle for gardening teams to come through and do their maintenance. 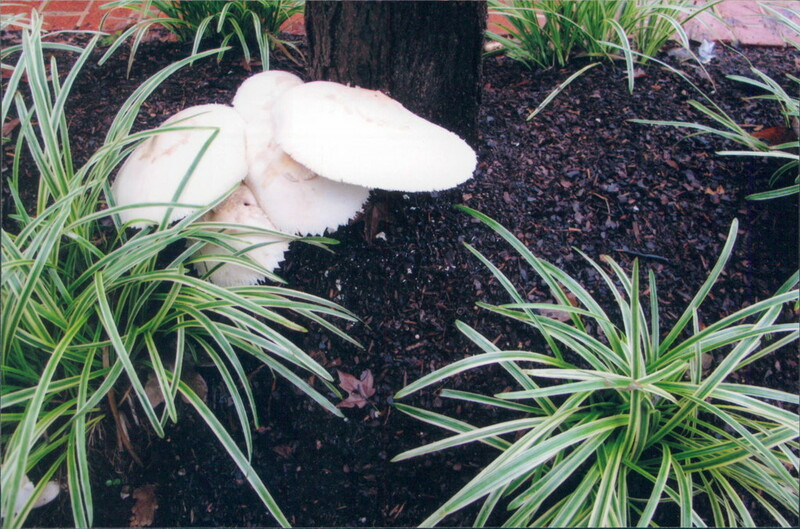 I feel certain they would be removed as being not a part of the formal plan for the vegetation presentation. Sort of rogue and out of place. 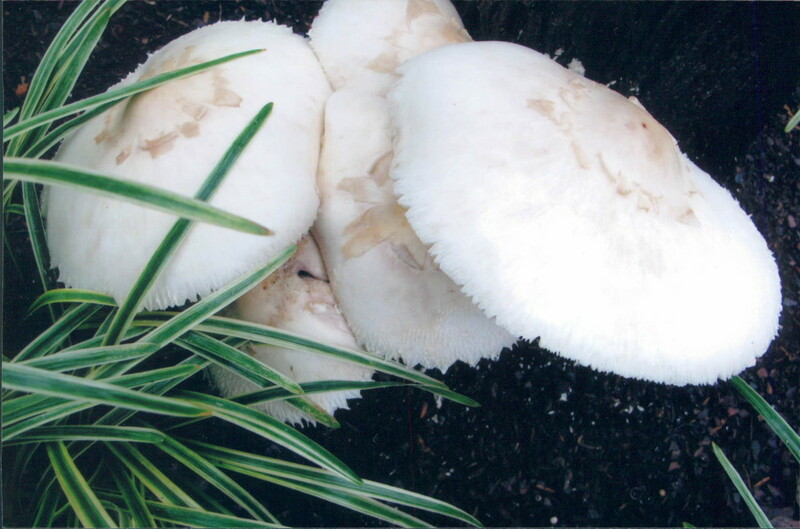 I found after looking at prints that the edges of the mushrooms had an almost delicate appearance a sort of additional contrast to the almost rough and tumble look to them. I am constantly watching my step when I walk as have the bad habit of not picking up my feet as high as I probably should. The found benefit to this is in seeing the occasional wonder which can be found only at ground level. This medium has allowed me to stop thinking of myself as being ambivalent. I say this as there are occasions when one must pick the best of a group of shots of the same subject. This allows us to look at a bunch of shots not having to commit to a best of the lot and just enjoy what each has to offer. Here is hoping you include a downward glance on occasion for it can have its reward. Thanks for joining us for the current photo presentation. You are cordially invited to return Friday, August 24th for a new picture that we hope you will enjoy. Mushrooms gross me out i hate the texture.